You can live for a while in an upscale setting in the apartment house at Westerberg, in one of the most beautiful spots in Osnabrück. 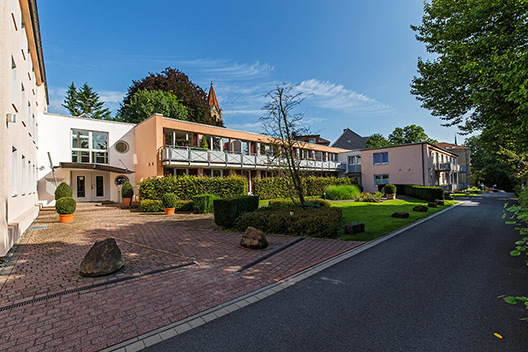 Living in our boarding house at Westerberg in Osnabrück means you are near the city-centre and yet you live in a very quiet location in the best part of Osnabrück, in the immediate vicinity of the prestigious Osnabrück residential quarter with its numerous park-like gardens. Only a few steps away from the city centre with its varied shopping facilities and the picturesque and historic Old Town with its boutiques, cafés and bistros. Cultural and other facilities such as the Botanical Garden, the University of Applied Sciences and the University of Osnabrück are also close by. 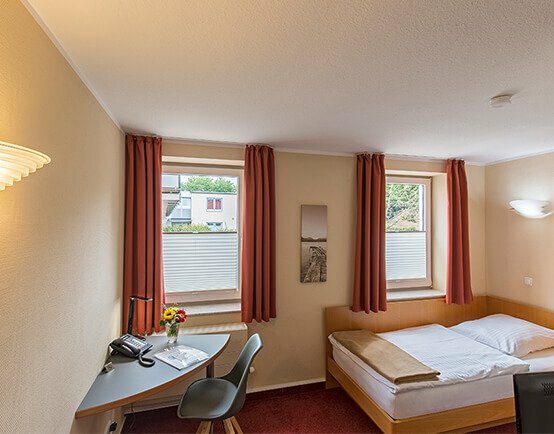 Our apartments invite you to stay in Osnabrück for a longer period of time. Be our guest! We look forward to your enquiry or visit. Convince yourself of the equipment in our picture gallery. 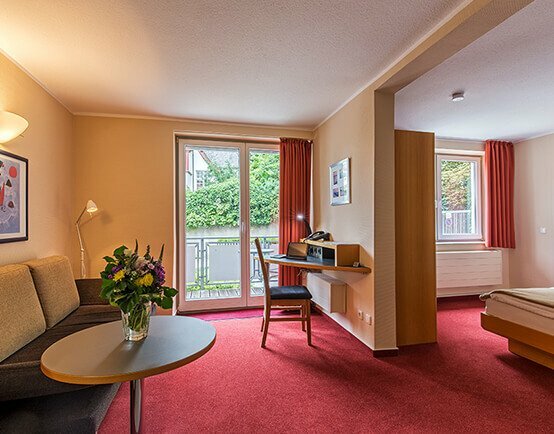 Experience comfort according to your personal requirements in one of our apartments at Westerberg. 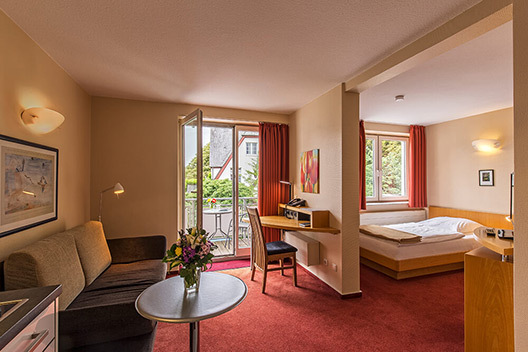 Due to the perfect location in the beautiful Osnabrück, the high quality equipment and our extensive apartment service we leave no wishes unfulfilled – we invite you to stay longer. 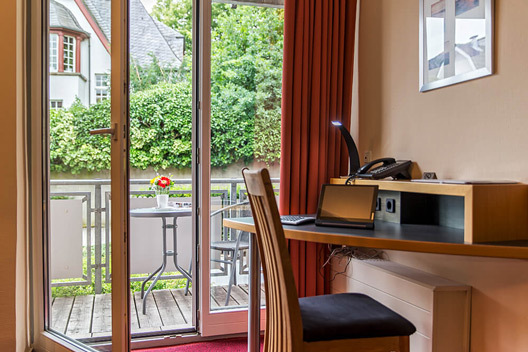 Situated close to the city and yet still quiet – at the “Westerberg” residential area of Osnabrück, you live in the best location: just a few steps away in the city centre, you will find many shopping facilities, cafés, restaurants and the historic old town. 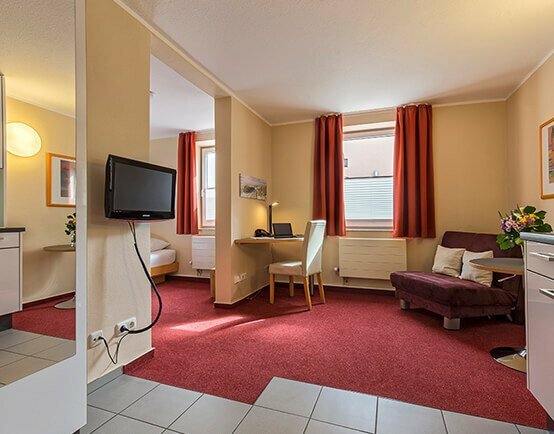 Our cosy and comfortable apartments have a complete and high-quality furnishing: fully equipped modern kitchens, office desks, etc – you will see, you will miss nothing! 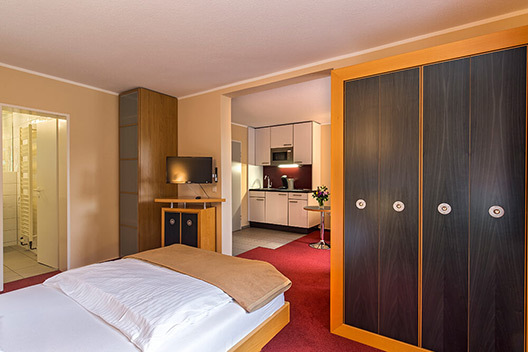 First-class living comfort through high-quality furnishings on up to 15 m² for one person. 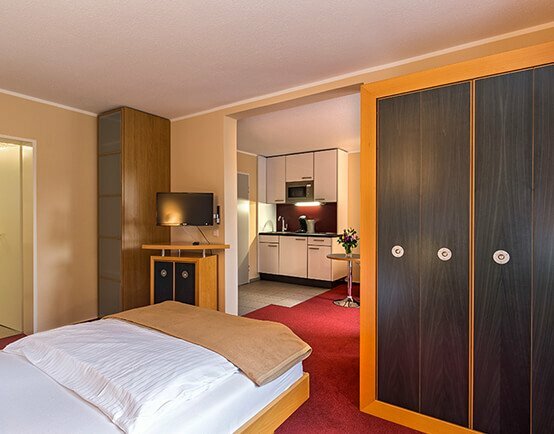 A real feel-good place for s short or long term stay in the middle of Osnabrück on 17-20 m². The perfect stay for two in an apartment on 25-27 m² including balcony or terrace and a high-quality sofa bed. Unforgettable temporary living on 30 m² with exclusive furnishings such as a daylight bath, a comfortable double bed and a balcony or a terrace. Outside these times by appointment.